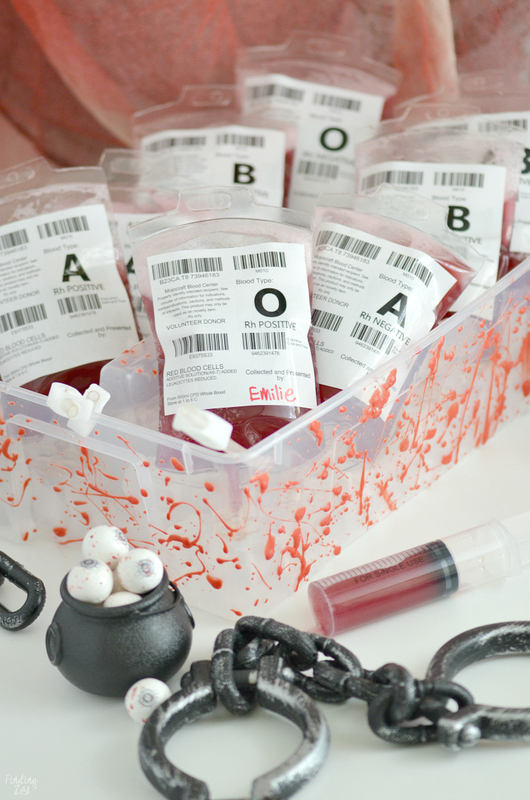 Entertain guests at your Halloween party with these fun blood bags! 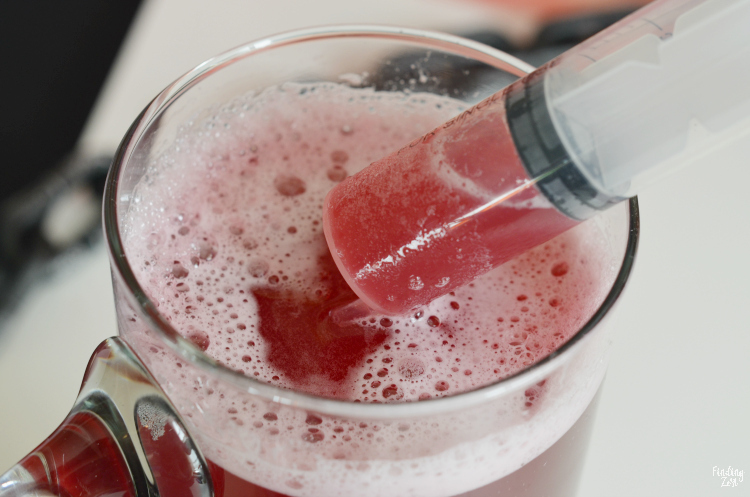 This red Halloween Drink (non-alcoholic) is perfect for filling fake I.V. bags designed specifically for drinks. 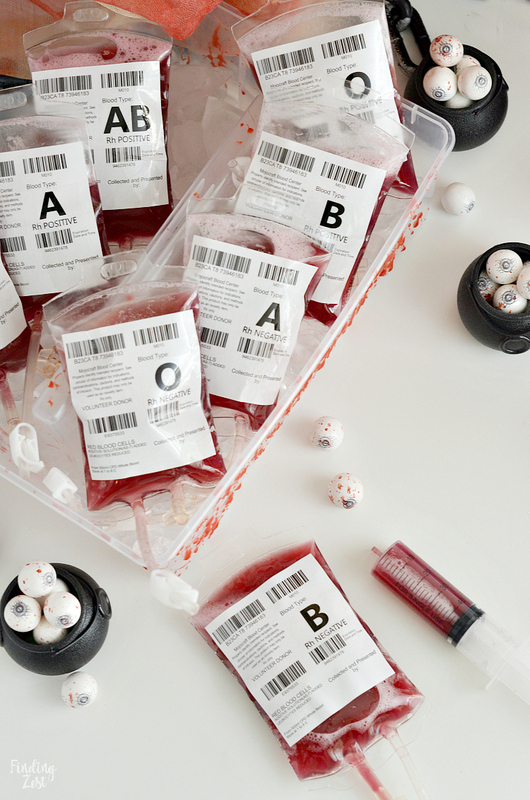 Learn where to find these bags plus tips for how to fill, clip and display the blood bags. 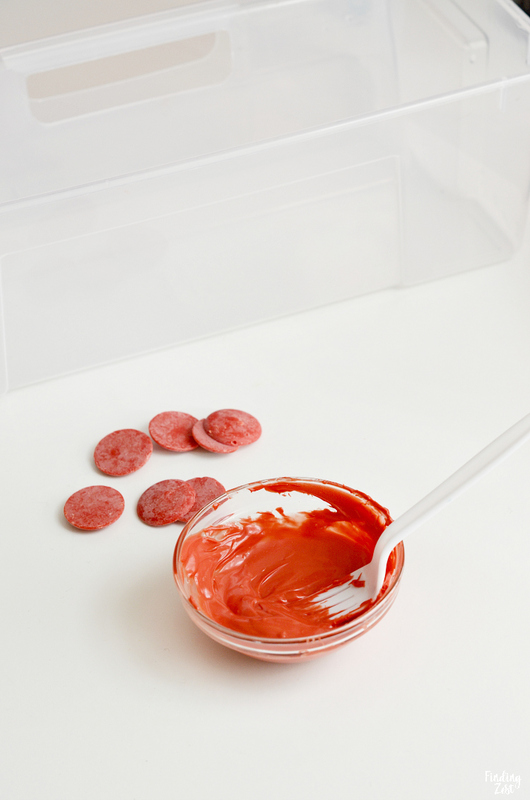 I also share how to make the easiest edible fake blood splatters with just two ingredients. 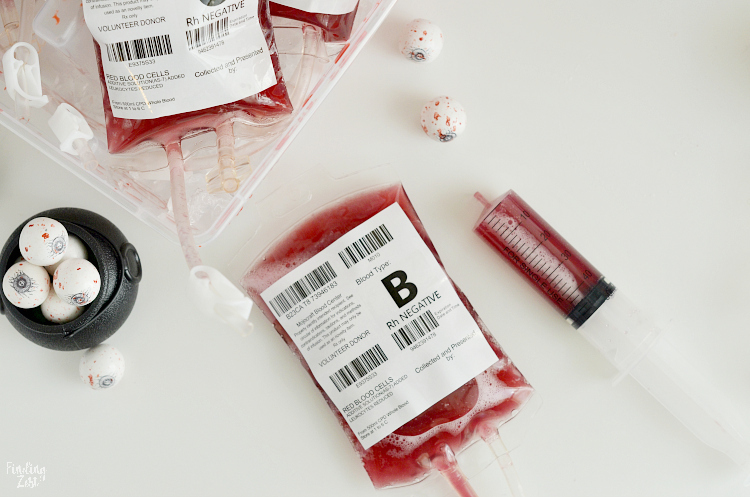 These blood bags make a great accessory to your vampire costume! Over a year ago I spotted these fake blood bags on Amazon while trying to find some Halloween party ideas. I’ve had them on hand that long and my poor kids have asked me many times when I was going to make my blood punch so they could try them out. This week I finally delivered and they were ecstatic! For this project I wanted to display my blood bag drinks in a fun way. 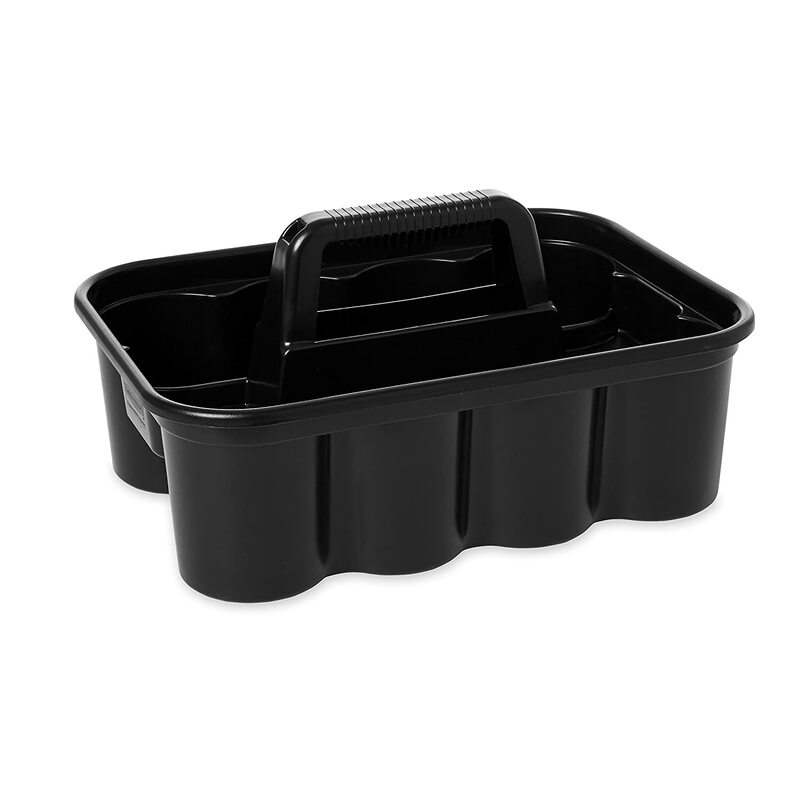 I had this clear plastic container from IKEA which I felt resembled a caddy you might see phlebotomists carry. 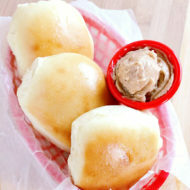 I couldn’t find that exact product at Amazon but above are a couple of alternatives. To up the spooky factor, I decided it needed some fake blood splatter. I’ve made fake blood in the past. A few years ago I made a fun Halloween popcorn and called it bloody bones popcorn. I realized the same mixture I used to cover the popcorn would also harden and appear like blood and dare I say flesh. Ewww, right? 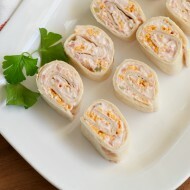 It works great if you are making the popcorn already but it makes a lot and it is very hot so you have to be careful. It also takes a bit more effort to wash so I wanted to come up with the easiest way to make fake blood. 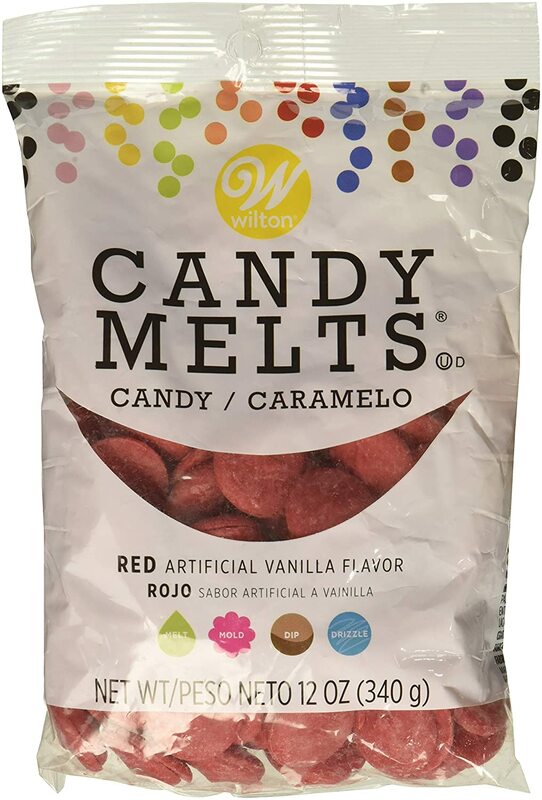 I work with candy melts all the time and did a double take while getting the blood bags ready. 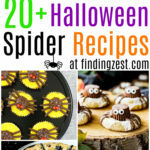 I know that warm candy melts are fairly thick and won’t work great for splatters. I knew I needed to thin it out A LOT. 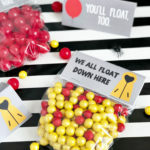 Water doesn’t work unless you want to see your candy seize up. But I use vegetable oil all the time to smooth out my chocolate. I thought it wouldn’t hurt to add an excess amount of oil and see what happens. 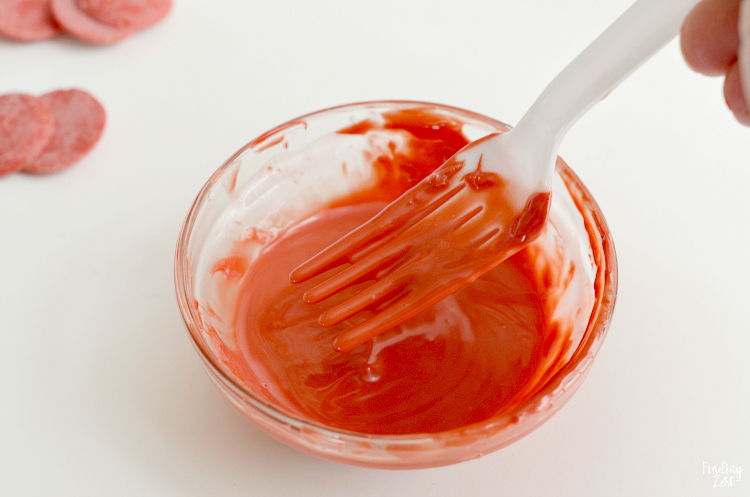 I melted 1/4 cup of candy melts and added about a tablespoon of oil. 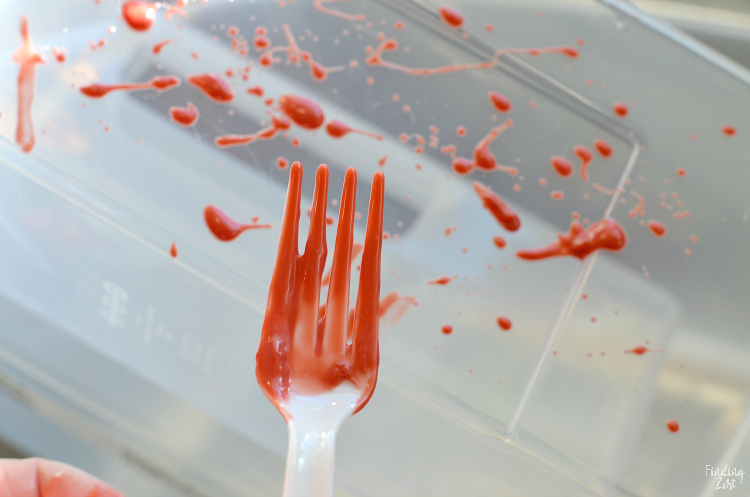 The mixture became nice and runny, perfect for using a plastic fork to drop and flick blood splatters all over my container. (A plastic fork is more bendable.) And because it is still a candy melt, it hardened as it sat. I splattered the fake blood over my kitchen sink. I still didn’t want to make too much of a mess in my kitchen, so my splatters are fairly small. 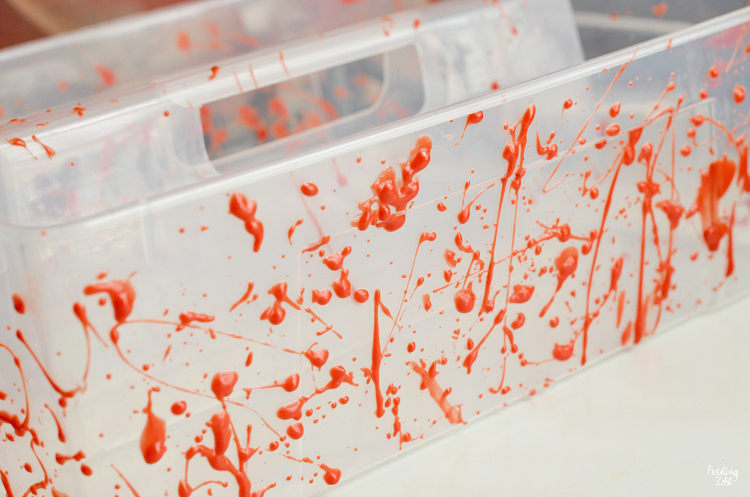 If you prepared more with some plastic or took it outside you could get some really cool, large splatters. Cool, right? This may have been done before by someone else but I refuse to look that up to find out. I am proud of myself for coming up with the idea and I’d rather live in a bubble where I’m the first one. 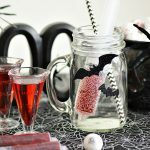 Making this blood Halloween punch is very easy! I used a combination of cranberry juice, pineapple juice and lemon lime soda. 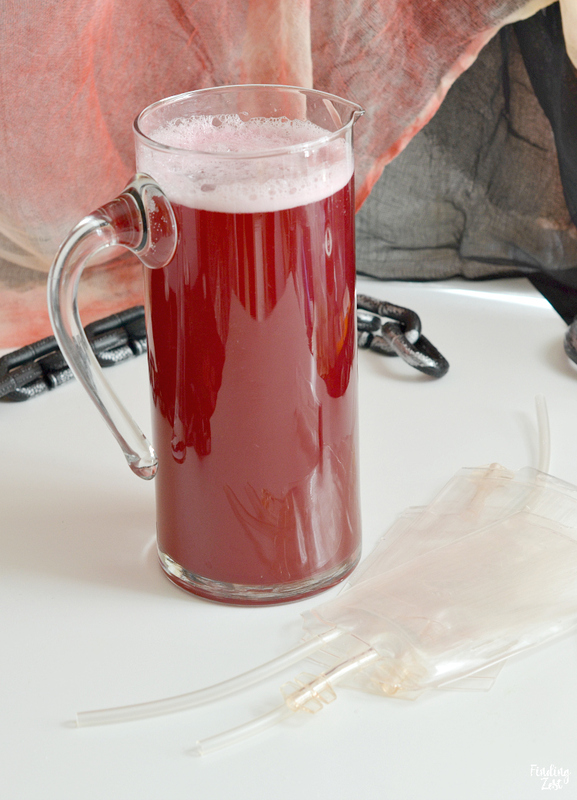 But you could use any dark red juice such as pomegranate, cherry or fruit punch. Ginger ale would also be a good substituent for the lemon lime soda. Included with my blood bags was a syringe with a very narrow opening that holds 50 millimeters of liquid. That works out to be just under 3 ounces of punch so you’ll need to repeat this process several times to fill up a single blood bag. 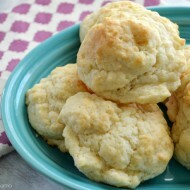 I found that around 5 times to be just about right so they weren’t overfilled. I placed my fake IV bags in a bowl with the tubing pointed up. It wasn’t very messy this way and I was able to clip them off easily. The bags didn’t tip over and I was able to wait to clip them until all my bags were filled. The tube clips that are included with my blood bags were really easy to use once I figured out how to use them. If they aren’t placed properly they won’t work to keep you punch from leaking all over. Simply slide your tube up through both holes so the clip is vertical instead of horizontal. Close the clip to position it in the locked position. Press down on the ribbed section to unlock and take a drink. 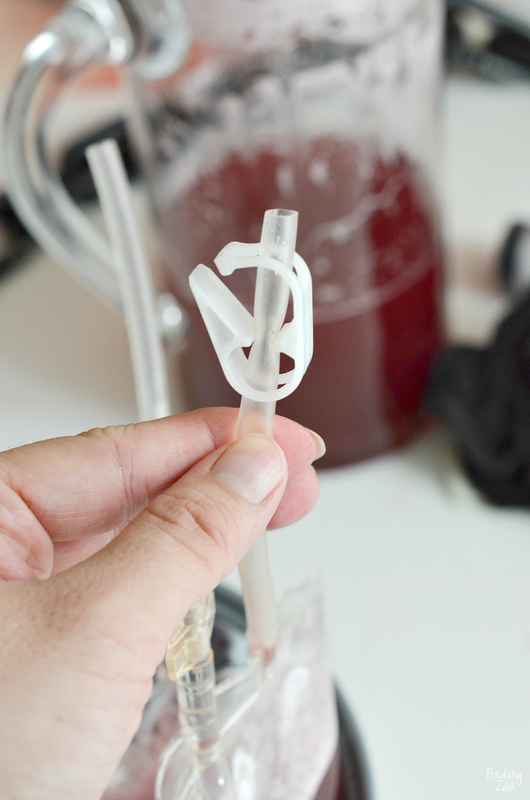 It is recommended to just leave the clip there as you drink from it as it doesn’t hinder the liquid. 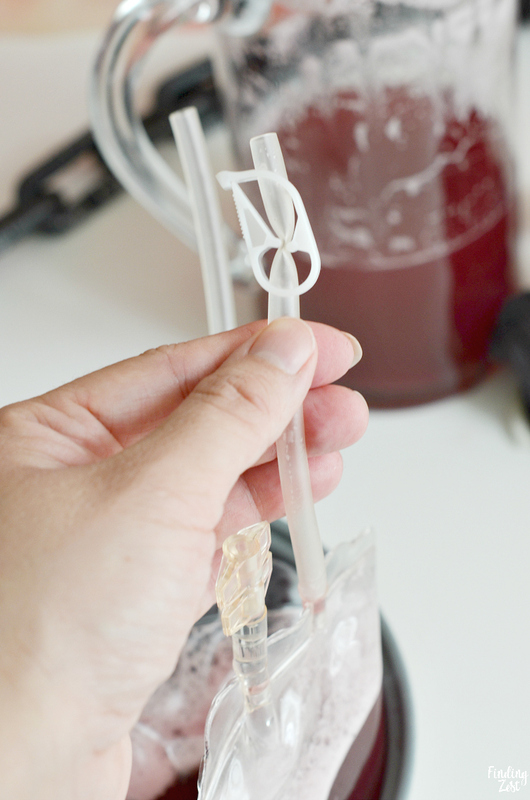 Blood Bag Tip: I recommend moving the clip down a bit from what is shown above so that it is easy to take a drink without hitting the clip. 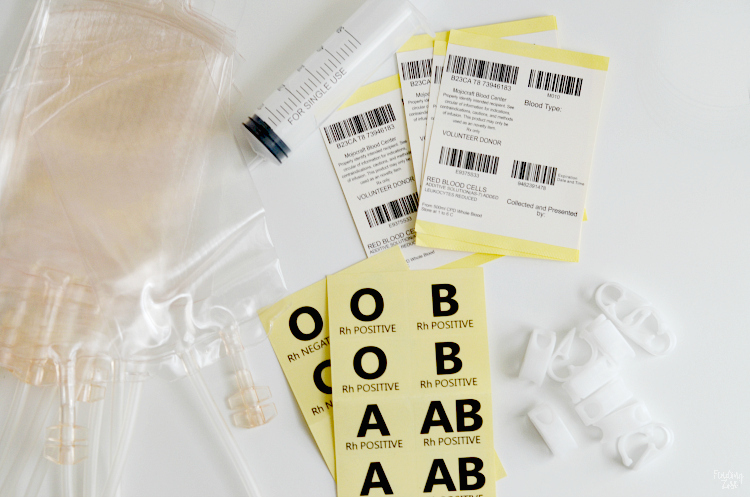 All of the blood bag kits I’ve seen on Amazon include printed blood bag stickers. Some have the blood type already printed on them but the kit I purchased came with blood type sheets which two of each blood type which I thought was more fun. The one I chose also had a section to add a name so you can keep track of your own blood bag. I didn’t add the labels to my blood bags until after I filled them because I wanted to be able to easily rinse off the bags if I got them sticky while filling them. It wasn’t as messy as I thought it might be and I didn’t need to do that. 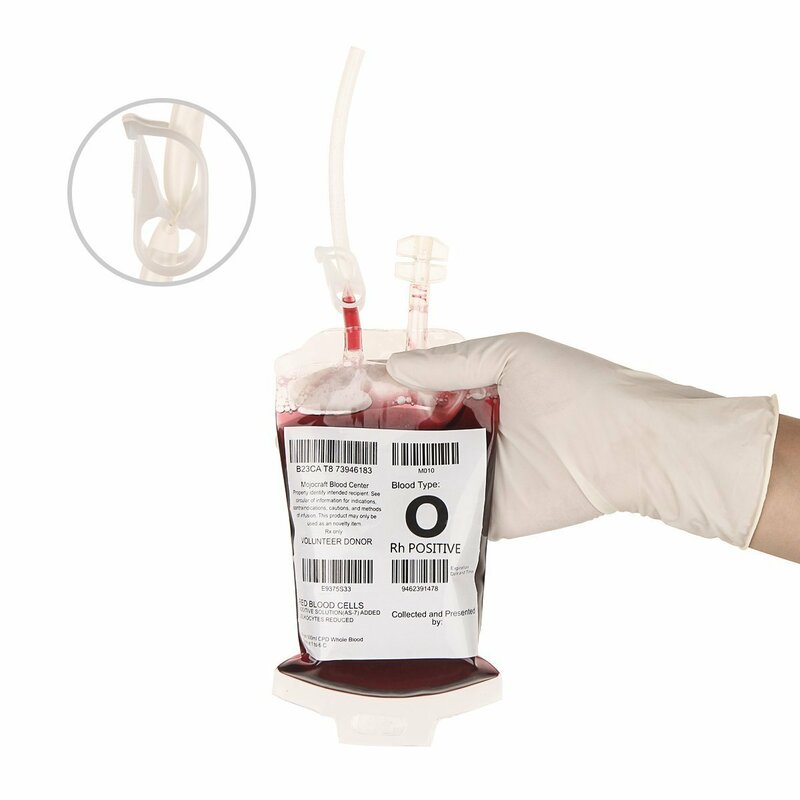 Because the blood bags have a rounded shape once filled, the labels would have been easier to apply and looked better if I had put the labels first. 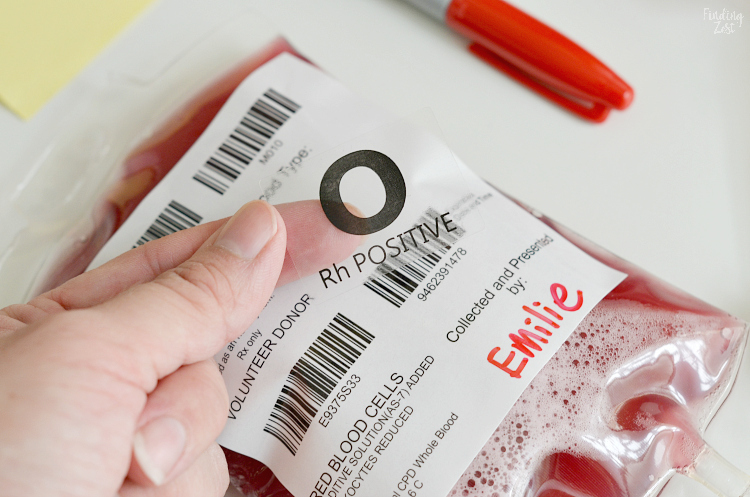 Blood Bag Tip: Add your labels before filling your blood bags. 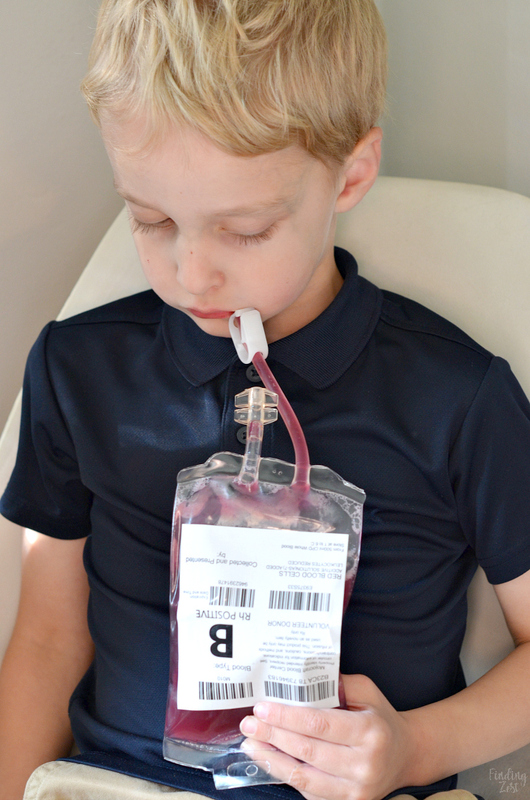 Blood Bag Tip: Your blood bags would look awesome hanging up on a hook like a real I.V. 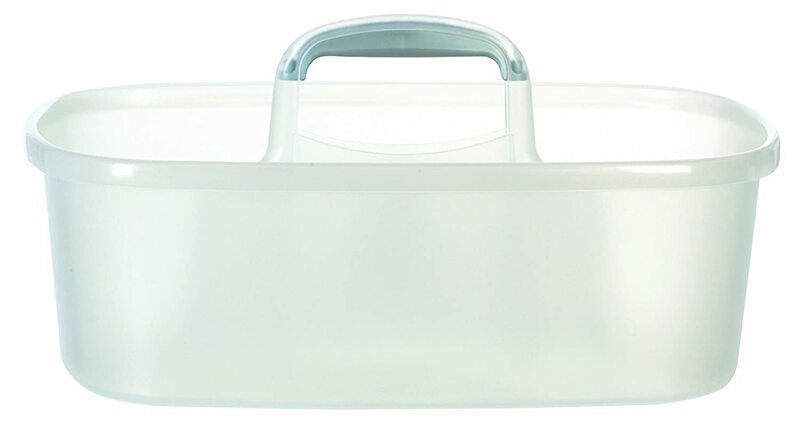 bag as an alternative the the clear caddy. 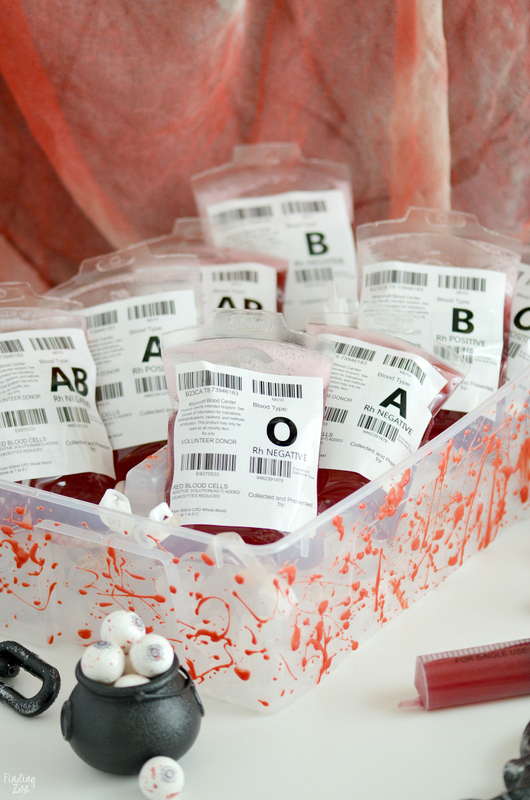 Fill 10 blood bags with punch (approximately 250 milliliters for each bag) using a syringe and use clips to lock. 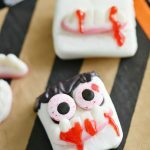 My kids loved coming home from school to find these filled blood bags. They didn’t struggle at all with the clip once I showed them how to lock and unlock their bags. They thought they were so cool! We also haven’t had any issues at all with them leaking. Can You Clean the Blood Bags? 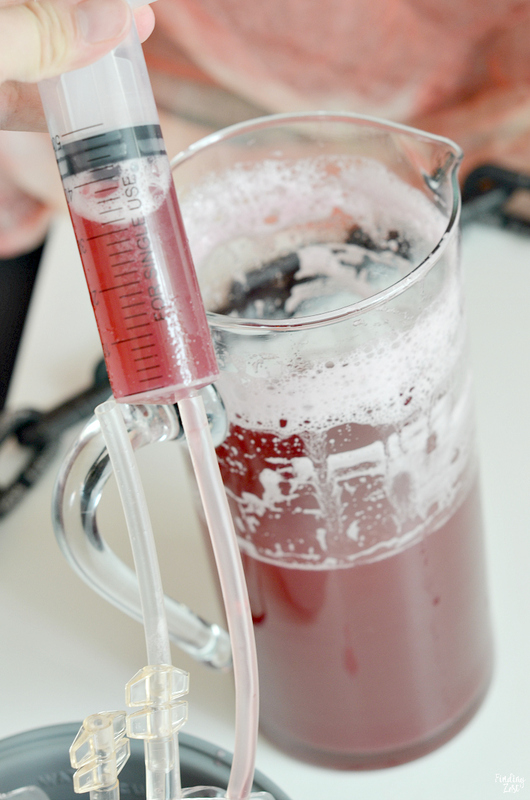 My instructions recommended rinsing the syringe and blood bags with hot water before using them. I did follow this step before filling them. As far as cleaning after they are used, if you have some extra time on your hands you can clean them with a syringe and soapy water, making sure you rinse them out well and hang to dry. 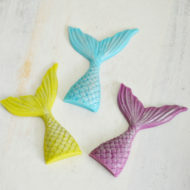 I found shaking them when filled partway with soapy water made it easier to get to all the little crevices by the the tubing. There is a thin layer over the the label which makes them water resistant but not waterproof so I would avoid soaking them. 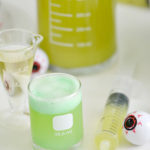 That is all there is to creating a fun Halloween drink that will get people talking at your Halloween party. 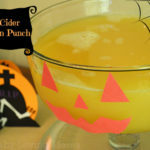 While I show a Halloween Punch that is non alcoholic, you could easily switch this drink up to to an adult beverage by adding some vodka. Enjoy your “blood”! This is seriously so amazing – I love that you fully committed to the blood theme! 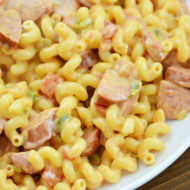 I just featured this recipe on my Halloween Foods roundup on my blog!